Microwave generator systems are designed to provide stable and controllable microwave power required by many heating processes and industrial applications. 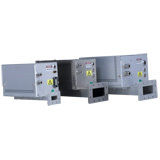 Complete microwave generator systems are available as an integrated unit or with a remote magnetron head. 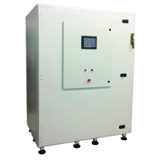 The integrated microwave generator houses all of the generator subcomponents in a single cabinet, while the remote head separates the power supply and magnetron head by a cable assembly. All complete microwave generator systems are supplied with a power supply, magnetron head, cable assembly, and isolator. Richardson Electronics offers design and production services to build complete custom turn-key microwave generators for both low- and high-power applications in the standard ISM frequencies of 915MHz, 2450 MHz, and 5.8GHz. Our engineering staff can assist you in configuring a new system or upgrading an existing system to your specifications. Power supplies provide the voltage and current needed to power a magnetron or a complete microwave generator. The power supply typically incorporates fault protection and a user interface for monitoring and control. Richardson Electronics offers a wide variety of power supplies for microwave applications, including switch-mode, inductive (L-C), and pulse. 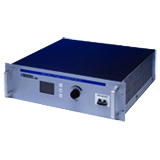 Power supplies are offered as single chassis or multi-chassis models depending on the power requirements. Magnetron heads are comprised of the magnetron, waveguide launcher, filament transformer, and electronic circuitry to interface with the power supply (via a cable assembly). Magnetron heads are available in water- or air-cooled models and can be constructed in aluminum or stainless steel. Richardson Electronics offers a variety of standard magnetron heads for use with an assortment of power supplies. Our engineers can also custom design magnetron heads or integrate complete microwave generator systems to meet your needs and specifications.